Want to build a new app from scratch in less than three minutes? “We know you need more than just a great API. You need to be immediately productive. You need tools to get started, so we are constantly working on ways to help your development,” said Powell, product manager at Esri. Specifically, she demonstrated a new upcoming wizard in ArcGIS for configuring web applications called Web AppBuilder. The goal for Web AppBuilder is to create a really simple-to-use experience for application configurers, not add another layer of framework to the development process. Every decision during development of Web AppBuilder was made with that goal in mind. Web AppBuilder lets you spend your time building apps that solve real problems. In addition to widgets, Web AppBuilder lets you customize the overall look of apps through themes. Existing themes can be applied or new ones created. While you are using Web AppBuilder, you are working on a live app, and you can interact with widgets and themes from within Web AppBuilder. 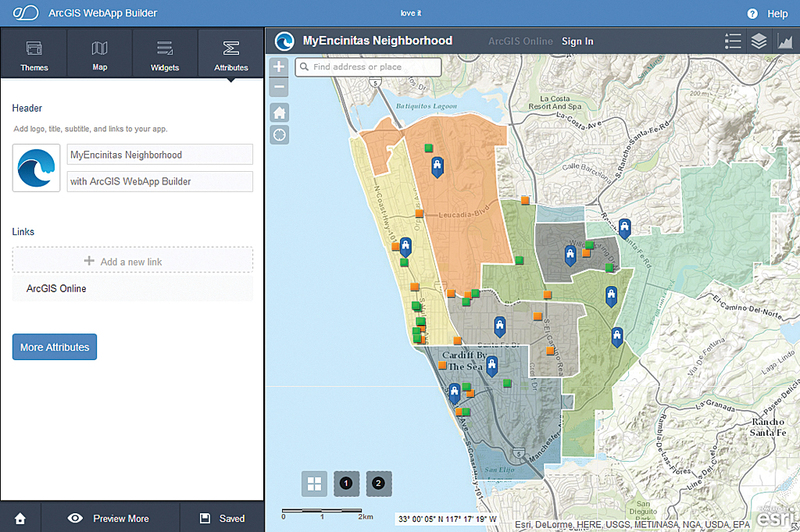 Web AppBuilder is not an isolated program—it is fully integrated with the ArcGIS platform and can be used with either an ArcGIS Online account or Portal for ArcGIS. 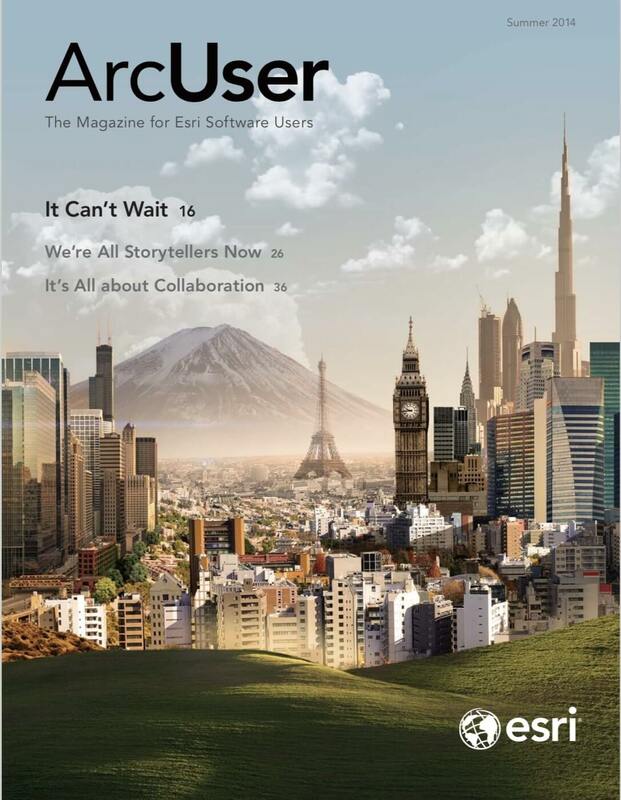 The workflow-driven, ready-to-use apps it produces run seamlessly across all devices or can be used to create Web AppBuilder templates you can share with others using ArcGIS Online or Portal for ArcGIS, who can take your app, tweak it slightly, and immediately put it to work. The product was developed in responseto customer requests. Browser technology is constantly changing, and support for Flex and Silverlight has become limited.